Last week, we looked at the odd casting of “The Butler,” an upcoming film about a White House butler who served seven consecutive presidential administrations. We have already fixed the casting problems with the Eisenhowers and the Kennedys. Today, we look at LBJ and the Reagans. This is an odd choice. LBJ was tall and physically imposing; so is Schreiber. But beyond that, there are no similarities between the intellectual stage and film actor and the coarse Texas career politician. Schreiber was raised by east coast liberal hippies; LBJ grew up in near-poverty in rural Texas. It’s almost as if the filmmakers have no idea who LBJ was. In a way, it’s understandable; he was a tough guy to pin down. One thing that we do know about him is that he came from very humble beginnings and that he was often mocked for his small-town ways. He was a man of action but painfully sensitive to how he was perceived in Washington. The Kennedy clan came to refer to him as “Rufus Cornpone” behind his back, and it wounded him deeply. Schreiber has a history of playing tough guys both on stage (Ricky Roma in “Glengarry Glen Ross” and Barry in “Talk Radio”) and in film (“Defiance” and “X-Men: Wolverine”). It will be hard to see him as a man who was so wounded by what others thought of him. 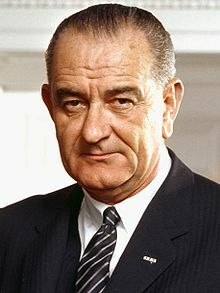 Another reason LBJ is difficult to cast is that he was not an attractive man, and most professional film actors – though certainly not all – are good-looking people. 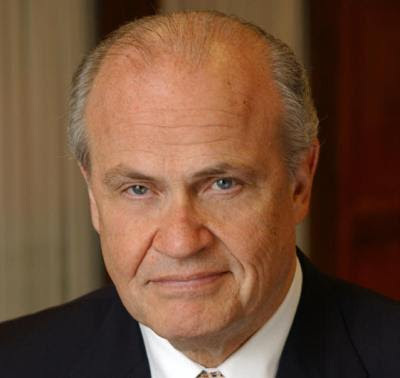 And so I arrived at Fred Thompson not by going through Hollywood but by looking back to Washington. Thompson has had a varied career as an actor, U.S. Senator, lobbyist, and lazy presidential candidate. He has played the chief of the FBI (“Feds”) and the White House chief-of-staff (“In the Line of Fire”). He has been described by the New York Times as one who gets the call “[w]hen Hollywood directors need someone who can personify governmental power,” Perhaps no president was able to wield his power to accomplish as much as Johnson, who also bears an unfortunate resemblance to Thompson. They both have the same hangdog look, Southern twang, and no-nonsense attitude. As long as the conservative Thompson would not have a problem with LBJ’s dramatic expansion of the social safety net, this is a natural fit. We took a poll on this casting several months ago, and the results came out in favor of Tommy Lee Jones. At the time, I listed a few reasons why he would be a good choice, namely that he is the right age and has experience playing cowboys. But there is a huge difference between Reagan and Jones. 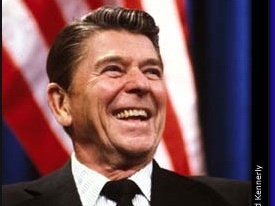 Reagan was known for his grandfatherly warmth and his ability to connect; Jones’s persona is one of emotional detachment, as one who deliberately keeps others at arm’s length. He is so well known for these traits that, in recent years, he has even been willing to make comedy out of them (“Men in Black 3”). As fine an actor as Jones is, he could never muster the warmth and gentle kindness that Regan projected to the public. Rickman is just an odd choice. Once known for his cartoonish villainy in “Die Hard” and “Robin Hood: Prince of Thieves,” Rickman’s performances have grown more subtle with age. This transition is reflected in his most famous film role to date, that of Severus Snape in the “Harry Potter” films, a character whom – I’m told – starts out a villain and gradually becomes more complex and morally ambiguous as the franchise rolls along. Still, while Rickman has been rapidly approaching those grandfather roles that would be most analogous to Reagan, the physical differences between them will be too difficult to overcome. 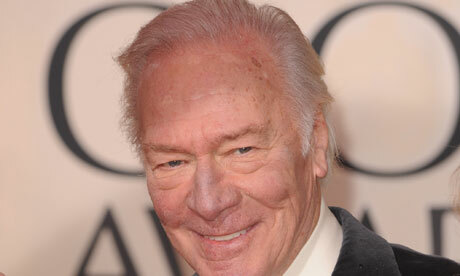 Christopher Plummer came in second in our poll, and I’m taking editorial privilege to declare him the winner. Coming off of an Oscar win for “Beginners,” Plummer’s star power will never be greater than it is right now, and that star power is crucial to playing a movie star-turned-president. As an actor, he exudes gentility and warmth, but he can also project those qualities as a façade that hides something more sinister beneath. There is no telling how the film will frame Reagan – as the conservative icon lionized by current Republican leadership or as the president that destroyed the middle class, which is how liberals remember him – but either way, Plummer is the man for the job. 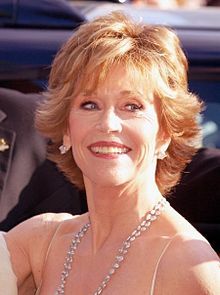 In so many ways, Jane Fonda is a fine choice to play Nancy Reagan. She is a great actress at the right age with enough of a physical resemblance to pull it off. But in one major way, she is so wrong: her politics. There is probably no celebrity who is more associated with the “liberal Hollywood elite” than Fonda. Some of this is her fault; posing with a North Vietnamese missile launcher was certainly unwise. Fonda has owned up to her mistake, admitting that she was naïve at the time about how a female American movie star might be used as propaganda. But her apologies haven’t helped. Her name is still routinely trotted out when conservative talking heads want to blame Hollywood for America’s problems. Try as she might, she will always be Hanoi Jane to some, and the cognitive dissonance of Hollywood’s most famous liberal icon playing the wife of conservative America’s most prized hero would be far too distracting onscreen. Plus, it would give conservatives ammunition to destroy the film in the media before it is even released. Glenn Close was once considered one of the best actresses working in Hollywood, and she has managed to stay relevant through middle age. 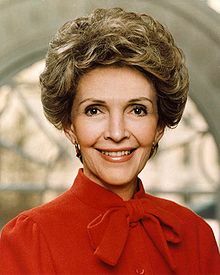 She has been credible in the political roles before, playing a vice-president in “Air Force One,” a Supreme Court Justice in “The West Wing,” and a First Lady in (sigh) “Mars Attacks!”. While she usually plays roles that require more force and dynamism than we typically associate with Nancy Reagan, her restrained performance in last year’s “Albert Nobbs” indicates that she could play a First Lady, who is by definition relegated to the background, quite well. This post is really well written and interesting so I’m sorry that I have to disagree with you: Alan Rickman will be spectacular. You only mention Die Hard (in which he was not cartoony), Robin Hood (admittedly cartoony but still sympathetic and he stole the show from Cosner), Harry Potter (have you actually watched the movies? 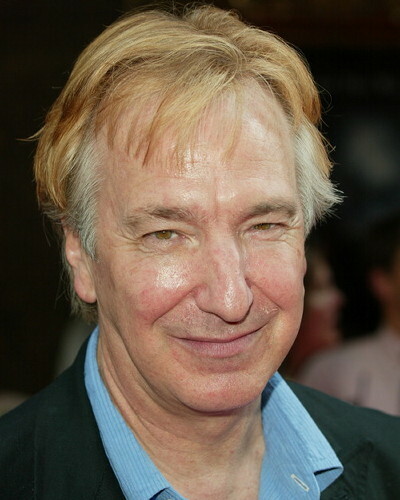 ), but Alan Rickman has shown his superb acting skills in a wide variety of movies. he’s done drama, indie, period pieces and more. Sure Christopher Plummer looks more like Regan, but that’s all he has going for him over Alan Rickman. Thanks for your comment! To answer your first question – no I’ve never seen a Harry Potter film. Should I? I was uninterested in the first one, and then catching up always seemed too daunting a task. You’re not wrong about Rickman; he’s a brilliant actor. I’m just having a hard time SEEING him as Reagan. But I’ll be thrilled if he proves me wrong. And as for overcoming the physical differences between Reagan and Rickman…Rickman just finished filming as a curly Redhead in CBGB, was a greasy black haired Severus Snape, short ash blond hair in Snow Cake…I believe he can pull of Reagan handily. Watch more Rickman…you’ll become a believer. Thanks for your comment, Aimless! You’re right that I was a little short on justification by only referencing two Rickman roles – and older ones at that. I am actually a big fan of him as an actor. I loved his comedic work in Galaxy Quest, Dogma, and Love Actually. I saw Bottle Shock, but don’t remember much of it. Sense and Sensibility is wonderful, and he was perfectly cast in it. So I agree that he has range. Maybe he can do it. But I just can’t SEE it. I still think that Plummer would be better, but I agree that it would be unwise to write Rickman off. Thanks again for commenting. While I would never say that Hollywood has ever NOT gotten it wrong, I do think that the whole point of being an actor is the ability to ACT. 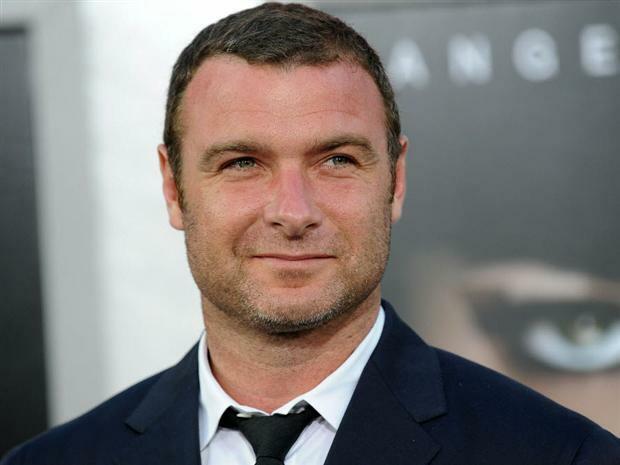 I like Liev Schreiber and pretty much watch whatever he does. Am I partial? Yes, but he’s not an “A” list actor that gets the job based off of looks and status. So I don’t understand what his “Personal Background” has to do with him acting in a movie. (Not to mention wasn’t he already in a movie similar to this, Man-(I can’t spell) Canidiate”… the movie tanked I believe anyhow. Alan Rickman is another good one that I personally like. Though if any of the Actors would’ve been a… “Hmmm?” It would be him, though more of the fact that he’s an Englishman playing a President- A favored president at that. 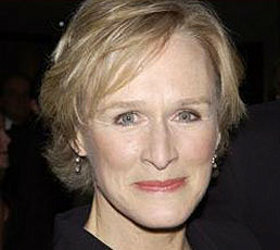 As for Jane Fonda and Glenn Close, I would choose Jane Fonda. Looks being the primary vote. But again I was struck by the fact that her “personal background” was at play. My point is that you can’t judge an actor being ready for the role based upon his background an any sense. Because if you do, then you mine as well get real footage and make it a documentry. A Hollywood movie is first and foremost… A Movie.